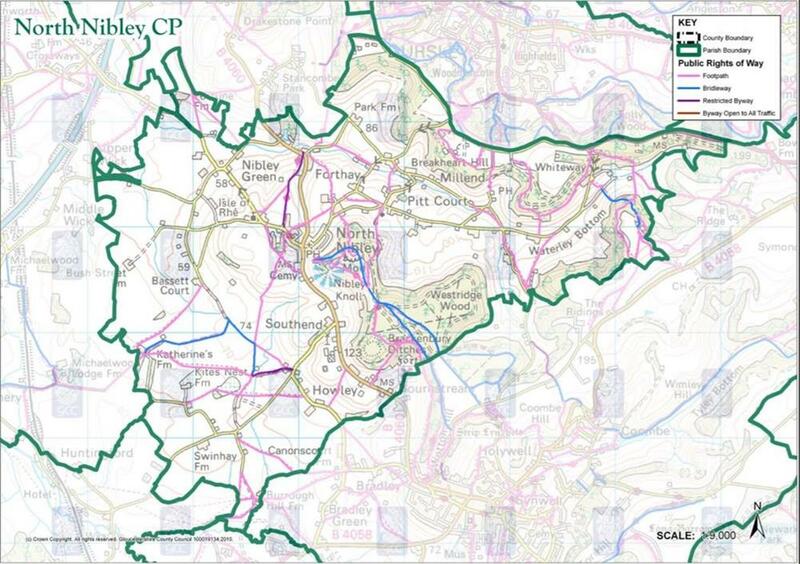 North Nibley Parish Council represents approximately 300 dwellings and 700 electors throughout the Parish. In addition to the Village of North Nibley, the Parish includes hamlets in the adjoining area (see map below). The Council is made up of 7 elected councillors who serve for a 4 year period. The current council was elected in May 2015. The Council has a Chair (and Vice Chair) who manage the Council meetings. The Council employs a part time Clerk who administers the Council work. Elizabeth Oakley was appointed as Clerk on the 1st July 2016. The Parish Council holds Council meetings on the first Monday of the Month at 7.30 pm in the Village Hall (located on the Innocks Estate). But when the first Monday in a month is a Bank Holiday, the Council meets on the second Monday of that month. The Council's Agenda, Minutes and associated papers can be found on this website. The Council makes Grants to local organisations in April. The closing date for this year’s applications is 28 February 2017. The Parish Council contributes monthly summaries of Council business for the local newsletter, On The Edge. This is currently distributed in hard copy format to local parishioners. © North Nibley Parish Council. All Rights Reserved. Design by Vision ICT Ltd.